Congenital neutropenias are rare and, if severe, are often fatal at an early age. Most however are relatively benign and may even be incidental findings. They generally reflect defects of maturation and release of neutrophils from marrow. Staphylococcal skin infections are common manifestations. A particular variant is cyclical neutropenia with cycles of 3-5 weeks, but this disorder is typically benign. The most common causes of acquired neutropenia are due to myelosuppression by disease, such as the leukaemias or drug therapy. Myelosuppressive drugs are most often used in the treatment of turnours; deliberate immunosuppression is also used for prevention or treatment of graft rejection in transplantation and for treating severe autoimmune disease. 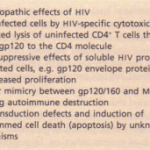 A number of other drugs such as some antivirals are also immunosuppressive (e.g. zidovudine, ganciclovir) and some can cause neutropenia or agranulocytosis as an idiosyncratic side-effect (e.g. chloramphenicol). 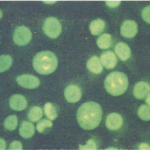 Neutropenia due to increased rate of destruction of neutrophils is seen in hypersplenism and in autoimmune neutropenia. In adults, the risk of infection rises steeply once the neutrophil count falls below 1.5 x 109/litre, regardless of the cause. The risk is less if the monocyte count is preserved, as these cells can serve as a back-up phagocyte population. (In cyclical neutropenia, monocytes usually have cycles of opposite phase, which is probably why serious infections are uncommon.) Infections are typically disseminated with septicaemia, fungaemia and deep abscess formation. Colonization of the gut with pathogens can readily lead to septicaemia. Local infections often affect the mouth, perianal area and sites of skin damage, including indwelling vascular catheters, and these can readily lead to systemic infection. Pus, which largely comprises neutrophils, may be scanty and may appear serous. If myelosuppressive therapy is being used, the dose should be reduced or the drug stopped. Neutropenic episodes can be reduced by the use of G-CSF or GM-CSF, which appear to reduce infective episodes and duration of neutropenia. Antibiotic or antifungal prophylaxis are sometimes of value. Otherwise prompt antimicrobial therapy for febrile episodes during neutropenia is essential, using agents with broad cover for the common organisms encountered. Defects of neutrophil function (some of which also affect monocyte/macrophage function) interfere with migration into the tissues through vascular endothelium, locomotion in tissues, phagocytosis or intracellular killing. 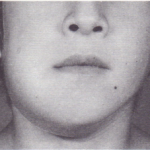 Mucocutaneous sepsis in the mouth and perianal areas is common and local infections often lead to chronic abscess formation in the tissues or draining lymph nodes. Granulomas may be seen, because of failure of neutrophils to degrade microbes effectively. Systemic spread is less common than with neutropenia. Congenital causes may first present with infection or delayed separation of the umbilical stump. Leucocyte adhesion defect This is an autosomal recessive disorder caused by abnormal synthesis of the t3-chain CD18 that is shared by the CD lla,b nd c molecules to form leukocyte function antigen (LFA) LFA-1, the C3bi (inactivated C3b) recepand for the C3dg receptor (p150/95). There is impaired lieucocyte tissue localization, locomotion and endocytosis. bone marrow transplantation has been successful in few cases. The syndrome is characterized by very high levels of IgE (much of it antistaphylococcal), impaired neutrophil liacomotion and severe eczema, with frequent staphy local secondary infections and abscesses. Other immune defect may be seen causing a wider spectrum of pyogenic and other infections. This may resemble cystic fibrosis clinically, with exocrine pancreatic insufficiency and pyogenic infections, in which mild neutropenia is associated with a defect of neutrophil migration. This is the prototype congenital defect of neutrophil (and monocyte) killing. In this disorder, the oxidative pathway of microbial killing is severely impaired, either due to a defective cytochrome b558 (X-linked CG D) or components of the associated NADPH oxidase (autosomal recessive CGD). Production of superoxide is abnormal, this being the first of a cascade of microbicidal oxygen radicals, including hydrogen peroxide, hypo halites, hydroxyl radicals and singlet oxygen. Impaired production of oxygen radicals can also affect the efficiency of non-oxidative killing. Patients have chronic suppurative granulomas or abscesses affecting skin, lymph nodes and sometimes lung and liver, as well as osteomyelitis. They may present during early or late childhood years, depending on the severity of the defect. Most of the typical infections associated with neutrophil defects can be seen, particularly those that produce catalase, which inactivates any endogenous microbial peroxide that can kill organisms inside the phagocytic vacuole. Because macro phages are also affected, cell-mediated opportunist infections may also be seen such as atypical mycobacteria, Nocardia and salmonellae. Diagnosis is made with the nitroblue tetrazolium (NBT) test, which uses a coloured dye reaction to assay the oxidative pathway; it can also be used to screen carriers. Infections respond to appropriate antimicrobial therapy and surgical measures as needed; in some patients prophylaxis may be merited. Recent studies have shown that regular interferon-y can reduce the frequency of infections, probably through enhanced monocyte/ macrophage killing. A wide variety of other rare disorders can impair microbial killing including other inborn errors in microbicidal mechanisms, such as leucocyte G6PD deficiency (much less common than that affecting red cells) and myeloperoxidase deficiency. Various storage diseases, such as Gaucher’s and glycogen storage diseases, impair function of phagocytes, particularly macrophages, because of the accumulated material within them. 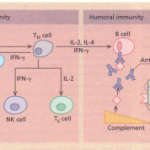 abnormal microbial killing is due to defective fusion with the phagosome in phagocytes; NK cell activity is similarly impaired. Similar fusion abnormalities in melanocytes causes partial oculocutaneous albinism, in addition to recurrent infections. The most important defect is caused by corticosteroid therapy, which also affects T cell-macrophage cooperation causing cell-mediated immunodeficiency. The main effect of corticosteroids on neutrophils is to impair leucocyteendothelial adhesion. This reduces the marginated pool of leucocytes and impairs their attachment to endothelium at the site of tissue injury or infection. 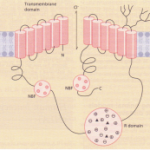 Corticosteroids thus prevent neutrophils reaching the tissues. The corollary of reduced margination is a rise in the neutrophil count; this can be deceptive if its significance is not appreciated. The effect of corticosteroid therapy on neutrophil function is reflected by increased focal and systemic infections with staphylococci and Gram-negative bacteria. The effect is usually apparent above doses of 15 or 20 mg prednisolone daily or equivalent and can be substantially reduced (as can other side-effects) by alternate-day therapy. An important infective cause of acquired neutrophil dysfunction is influenza, which causes a specific transient impairment of phagosome-lysosome fusion. This is the main reason for the high risk of staphylococcal pneumonia in influenza epidemics. Myeloid leukaemias can cause defective neutrophil function as well as effectively causing neutropenia of normal cells. Neutrophil and macrophage function can also be impaired in abnormal metabolic states such as uncontrolled diabetes mellitus and hypophosphataemia. The latter may be seen during intravenous feeding of critically ill patients. Inhibitors of endogenous chemotactic factors for neutrophils may be seen in Hodgkin’s disease and alcoholic cirrhosis and may be responsible for increased pyogenic infections in such patients. 1 Deficiencies of C3, Cl q or of Factors H or I cause increased susceptibility to capsulated bacteria. These patients may also develop immune complex disorders and SLE-like disorders, as do patients with deficiencies of other classical pathway components of complement. 2 Deficiencies of the lytic complement pathway, C5-9, causes susceptibility to disseminated neisserial infections, meningococcaemia and gonococcaemia; the latter has also been seen in association with disorders of complement function. These complement deficiencies are rare, but functional defects of complement deposition on microbial surfaces are common, as seen in mannan-binding protein deficiency (Saccharomyces opsonin deficiency) and other less wellcharacterized complement-dependent opsonization defects. These are responsible for increased infections with Haemophilus and pneumococcal infections, especially in the early childhood years-before a sufficiently wide specific antibody repertoire is acquired. The C3 depletion caused by C3nef, an autoantibody that stabilizes the alternative pathway convertase, and seen in association with partial lipodystrophy may also increase the risk of pyogenic infection. Cl esterase inhibitor deficiency is not associated with infection but with hereditary angiooedema, with episodes of localised oedema in skin of limbs or face, and the mucosa of the larynx or gut; the latter can cause life-threatening respiratory obstruction or severe episodes of abdominal pain.